Below is a Venn diagram I created in order to highlight some of the various differences in skills, knowledge, background, personality, and common responsibilities between a patent analyst role and a few related professions such as patent attorney, engineer/scientist, and patent paralegal. The diagram is neither scientific nor comprehensive, and some overlaps are likely skewed percentage-wise. Also, of course some folks have multiple roles/skills (e.g., a patent paralegal with an engineering degree) – but the diagram is nonetheless fairly representative. The point of view is from a patent analyst perspective, though personally I perform tasks as both a patent analyst and a registered US patent agent. Additionally, differences exist between corporate and law firm professionals and between employees at larger versus smaller entities. 1. A patent analyst needs to have a solid mix of technical expertise and patent knowledge and should also have an up-to-date awareness of the market and vendors in one or more technology areas, and a patent analyst needs to be able to perform detailed investigations to determine mappings of patent claims to corresponding products/solutions such as through reverse-engineering, product utilization, and/or documentation review. 2. A patent analyst and a patent attorney both need to understand the fundamentals of patents, such as patenting requirements, relevant dates, claim scope and language. Both may be required to perform patent-related searches such as patentability, freedom to operate, invalidity, state-of-the-art, etc., and may be asked to review the potential relevance of a patented claim on one or more target products/solutions. 3. A patent analyst, a patent attorney, and an engineer/scientist each needs to have a solid background and understanding of one or more technology areas. A patent practitioner, such as a patent attorney or a patent agent, must possess sufficient scientific and technical training such as having earned a Bachelor’s degree in a recognized technical subject. 4. A patent analyst and an engineer/scientist must both have a solid understanding of one or more technology areas. 5. 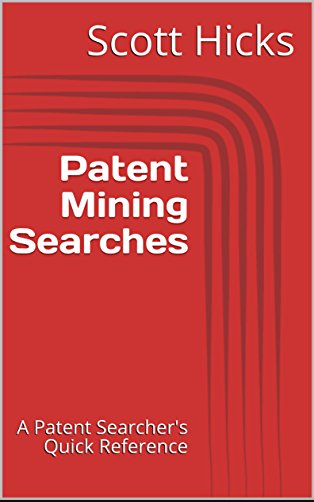 A patent analyst, a patent attorney, and a patent paralegal must each have a fundamental understanding of patents, such as patenting requirements and relevant dates, though a patent paralegal does not need to understand the intricacies of claim language, and a patent analyst does not need to know the details of interaction with a patent office. 6. An engineer/scientist usually also has responsibility to manage and/or design and/or develop a technical product or solution. 7. A patent attorney additionally has a law degree and has passed a territorial law bar exam along with a patent bar exam and can represent clients in court and with the USPTO, and a patent attorney can provide legal opinions (such as patent non-infringement or invalidity). Note that in the US a patent agent has passed the USPTO patent bar exam and can represent clients for patent application prosecution work with the USPTO, but cannot provide any other legal representation or provide legal opinions. A patent attorney (or patent agent) can draft, file, and prosecute patent applications. 8. A patent attorney and a patent paralegal must both have a sufficient understanding of the main bureaucratic aspects of patent prosecution with one or more patent offices. 9. A patent paralegal often has a more detailed knowledge of the finer details associated with interaction with patents offices than might a patent attorney, and a patent paralegal works under the supervision of a patent attorney to assist with preparing and filing necessary patent-related documents. A patent paralegal often possesses detailed knowledge of docketing software used to track patent assets. Hey, I was introduced to a software developer through a mutual friend. He heard my interest in becoming a patent agent and wanted me to come work part time with him. Initially he had me do patent searches on his ideas. Then he started asking more legal questions; such as his IP rights as a software developer, his contracts (mostly lack thereof), and the pursuit of a patent application. I report back what I find (I site sources) according to USPTO, MPEP, Law Reviews, blogs(usually source their reasoning to a Governing Law) and other Government documents like the Uniform Commercial Code. Am I breaking the law by giving opinions on what I read? Currently he only operates under the terms of a scope of work document, I told him what I found which was IP belongs to employer and anyone under work-for-hire; so I said he could add “NAME an independent contractor” at the very end.